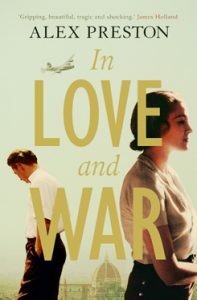 In Love and War is Alex Preston’s third novel, which has been hailed as “complex and profoundly moving” by The Guardian. It is a book that follows the journey of Esmond Loundes, the main character, who is a young British boy that has been sent to Italy by his father after being involved in a scandal at Cambridge at the time of the Second World War. Beginning his stay in Italy working on his radio station, he soon finds himself embroiled in the war by becoming a Resistance fighter in Florence. Esmond meets the love of his life, Ada, who is a young Jewish girl also involved in the Resistance. Esmond and his comrades are notorious and swift in their endeavours, yet they are never far away from a shootout or a chase. They become the target of many assassination attempts by the fascist leader who is pursuing them. All of this is told through the eyes of Esmond from his letters and journals, giving more of an insight into the past of the character and how he feels about the events unfolding. Set in wartime Florence, Preston gives his readers a wonderful view of the city but also how treacherous the streets became during the war. Readers are taken on a journey with the members of the Resistance and finds themselves rooting for them. The novel is full of action and sympathetic characters, which makes it difficult to put it down. 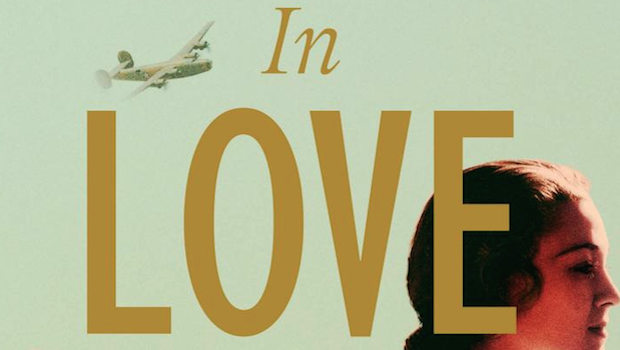 Preston leaves the reader on edge and wanting more right up until the end of In Love and War. The fact that it is also made up of journals and letters written by Esmond, and not just dialogue, makes it a different and interesting read.